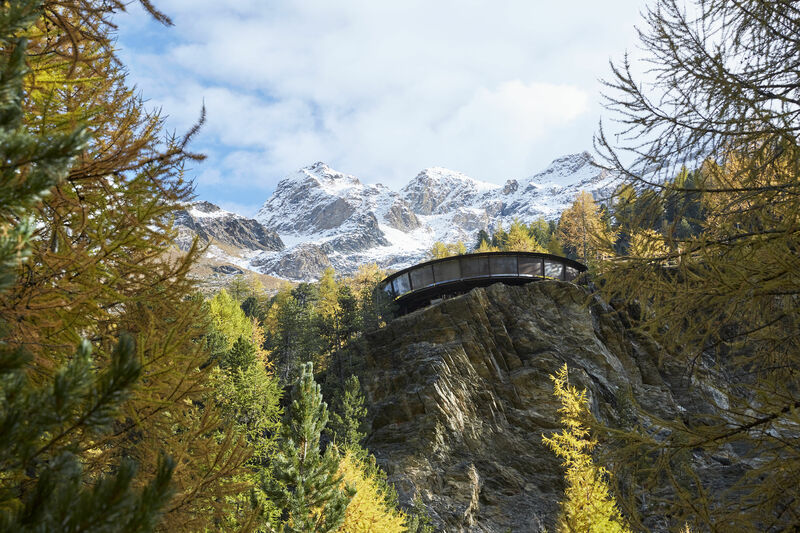 During the summer, the Venosta Valley turns into a paradise for hikers, boasting numerous attractions which help turn a mountain holiday in South Tyrol into the perfect Alpine outdoor experience. Leisurely hikers can enjoy the easy nature hikes along the many watercourse trails while more experienced hikers may choose to experience a multi-day hiking trip on the Venosta Valley High Mountain Trail. The Venosta Valley is particularly sunny with low rainfall, and the landscape features unique characteristics: the north-facing slopes of the Monte Tramontana mountain "Nördersberg" are covered with green woods and meadows, while a drier climate characterizes the opposite side, the southern slopes of the Monte Sole mountain "Sonnenberg" – diversity which is attractive for hikers wanting to experience a mountain holiday in South Tyrol. Venosta Valley offers hiking trips to beautiful mountain pastures, as well as mountaineering trails rising to an altitude of 3900 m in height. One of the most popular hiking tours in the region is the Venosta High Mountain Trail. This trail is over 100 km long, and characterized by great biodiversity. In the valley, tourists will find the easy and popular hiking paths along the old irrigation channel paths, favorite routes for families. 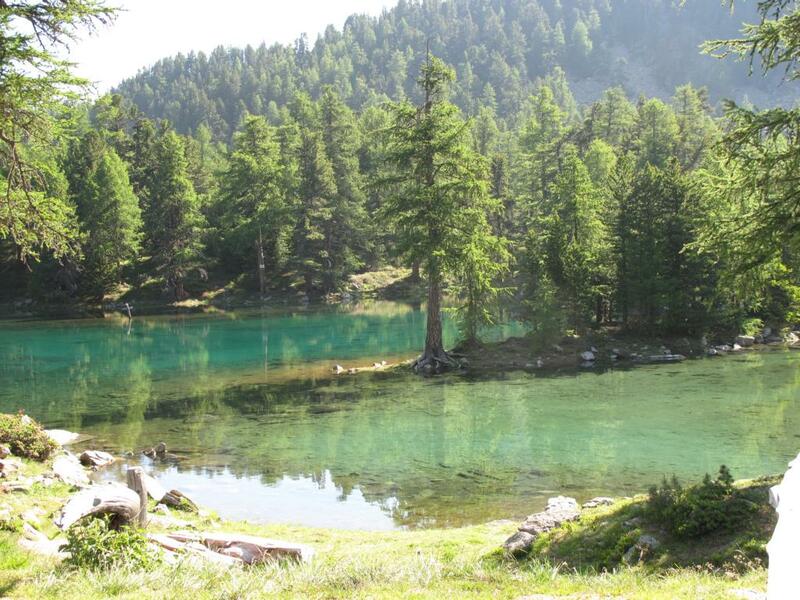 Venosta Valley offers ideal conditions for great tours in one of the most beautiful valleys of South Tyrol in every season, from relaxing family walks along the irrigation channel trails to multi-day tours and highly challenging mountaineering tours. The 12 km long knight tour passes by as many as seven castles, ruins and residences. The cultural exploration trail is also suitable for inexperienced hikers and, is also suitable for those with buggy if you miss out the beer cellar/Plima bridge sections. Fascinating hike on the High Alpine Trail of Slingia to Uina Gorge, unique 900 m long high route cut into the rock in 1908-1910. The Plima gorge, cut deep into the rock over thousands of years, is a narrow, impressive gorge at the foot of Monte Cevedale with almost vertical walls finely polished by iced water. Today, it presents itself as a natural arena for visitors looking for unique natural spectacles. 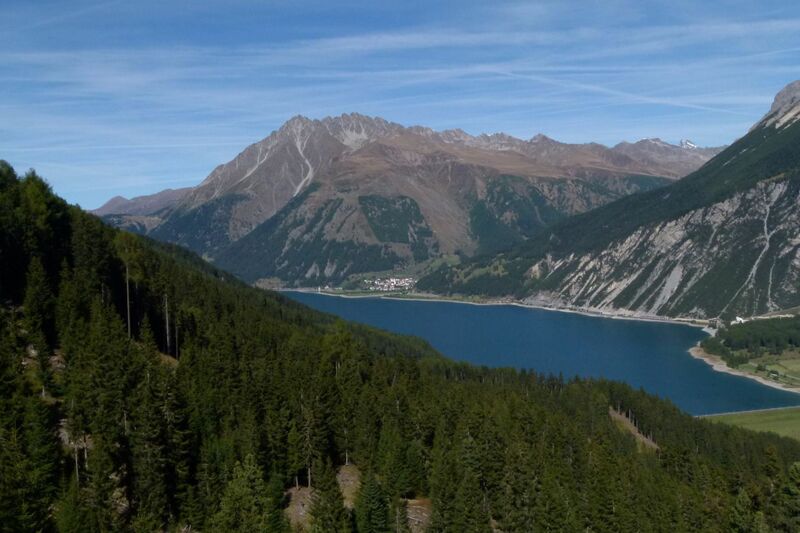 From Montefranco to the fantastic Zirmtal See mountain lake. The Smugglers' Trail runs across the Alpine passes. As recently as just a few decades ago, this trails were used to be smuggle goods across the mountain border from Switzerland into South Tyrol. In the hard times following the end of WWII, for many people smuggling was a necessity and a means of survival. To evade the border controls, an increasing number of routes were used. Nowadays, these hikes retrace the smugglers' trail with stunning views of the Münstertal Valley and the Engadine in Switzerland. Starting in Tubre/Taufers this striking route leads through unspoilt valleys with breathtaking mountains in the background. 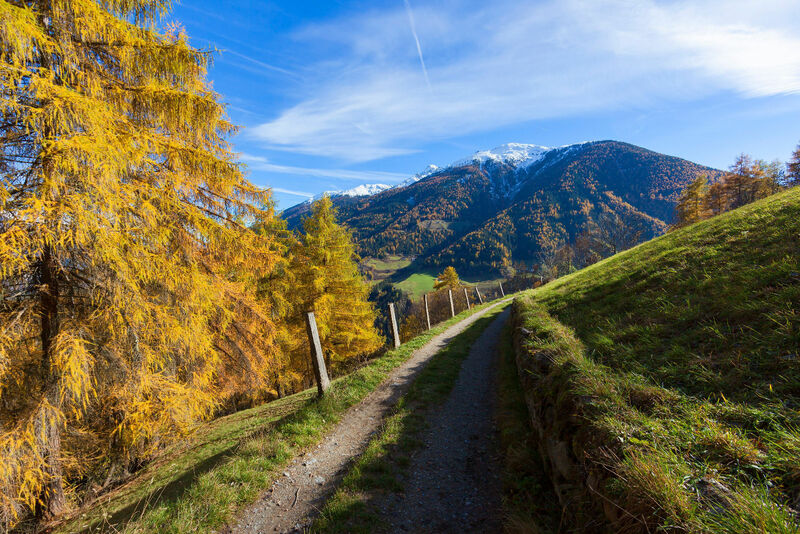 Along these lonely trails, hikers experience the silence of the pristine nature landscape as it crosses three valleys: the Val d'Avigna, the Val Müstair High Mountain trail to the Ofen Pass and the Val Mora to St. Maria returning to Tubre. With this hiking package, one experiences the magnificence of this original cultural landscape in all ist glory. The Stelvio National Park is one of the largest natural parks in Europe. As part of a trekking tour, hikers can experience this protected area in the midst of a unique flora and fauna. From the medieval town of Glorenza/Glurns, extensive hiking tours lead through meadows and forests up to mountain pastures and high mountains: a paradise for hikers with fantastic mountain views. 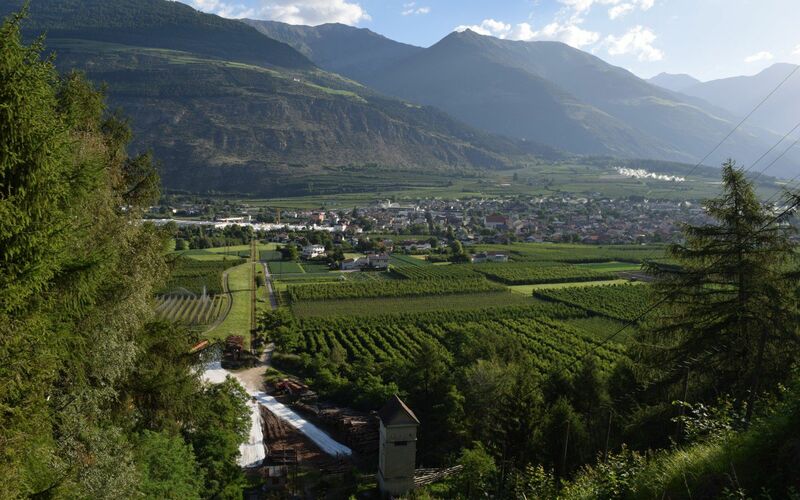 Following the footsteps of the Romans, the route along the old Via Claudia Augusta runs through the Venosta Valley in South Tyrol. 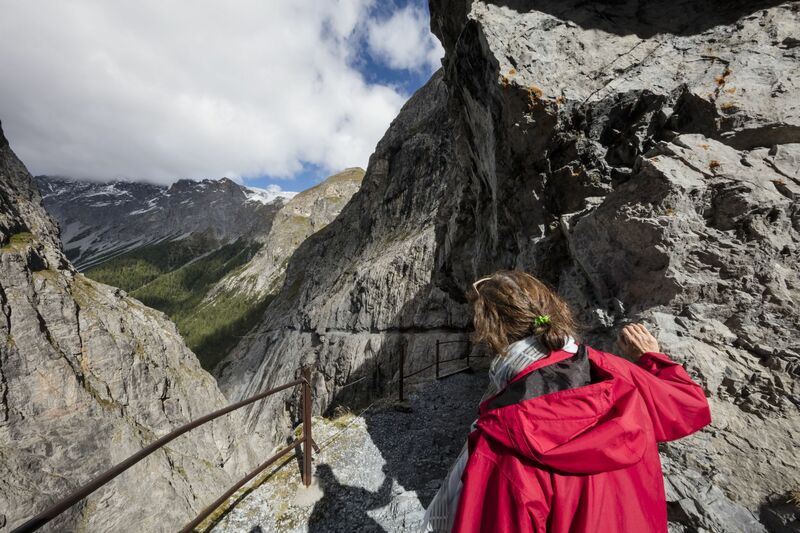 This section of the ancient trade route that goes back to Roman times, is one of the most beautiful and varied hiking routes crossing the Alps. Hikers pass the relics of the old Roman Empire and early Christianity. 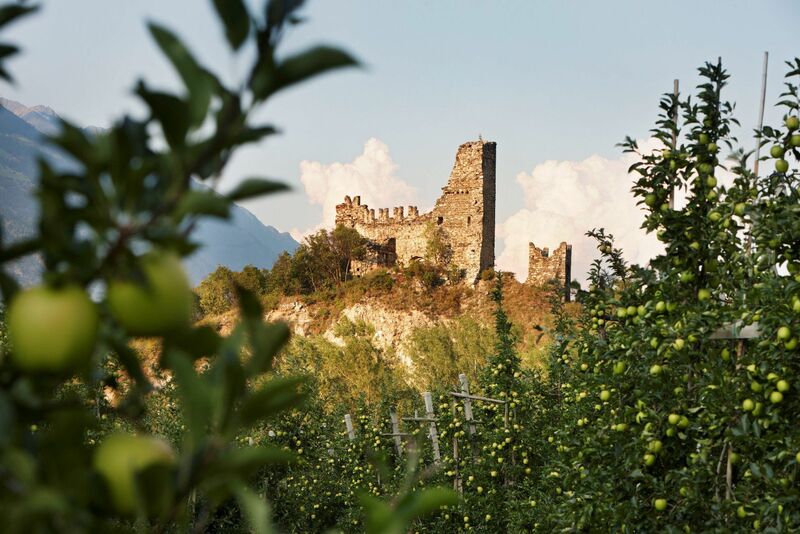 Romanesque villages and picturesque ruins such as of the St. Proculus church, as well as monasteries and castles alongside the Adige river line the route.